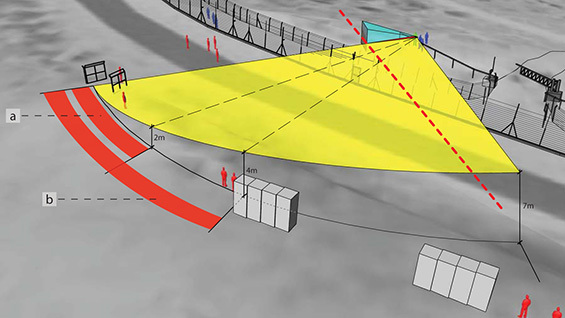 The Interdisciplinary Seminar presents Bradley Samuels, of SITU Research, who will give a free, public presentation of a series of case-studies done as part of the Forensic Architecture project. Each study explores the emerging role of artist and designer as a mediator and translator of spatial information, hovering between activist and witness in contemporary legal, political and social forums. Whether captured by citizen videos, orbiting satellites or international monitoring agencies, human rights violations and war crimes are increasingly documented in visual and spatial registers. Consequently, spatial representations – drawings, diagrams, physical and digital models, geospatial data, and remote sensing technology – are emerging as evidence in a variety of contexts. Todays’ venues – be they diplomatic assemblies, fact-finding missions, or human rights reports, are beginning to incorporate spatial analysis and representation as integral to both evidentiary and advocacy work. Bradley Samuels is a founding partner at Situ Research, an interdisciplinary practice working in design, visualization and spatial analysis. Focused on developing innovative strategies and new tools, Situ Research leverages a strong foundation in architecture, materials and digital instrumentation to collaborate with and contribute to a diverse array of fields. A core value of Situ Research is the applied nature of its work – the studio seeks to address challenges grounded in urgent contemporary spatial issues – be they social, scientific or artistic. Samuels holds a B.A. from Vassar College in Art History and a B.Arch from the Cooper Union School of Architecture. The Interdisciplinary Seminar, created as a discussion series on artistic practice for the students of the Cooper Union School of Art and the creative community that surrounds them, offers free public lecutures each Tuesday during the Fall and Spring semesters.